Al Horford will reportedly miss tonight's preseason game against the Charlotte Hornets. Horford, who evidently sprained his right wrist, is likely playing it safe given the next three games don't count. Truthfully, given these games are more for evaluating the second and third-string guys in terms of how they play in unusual lineups and in general, it's definitely the smart move. 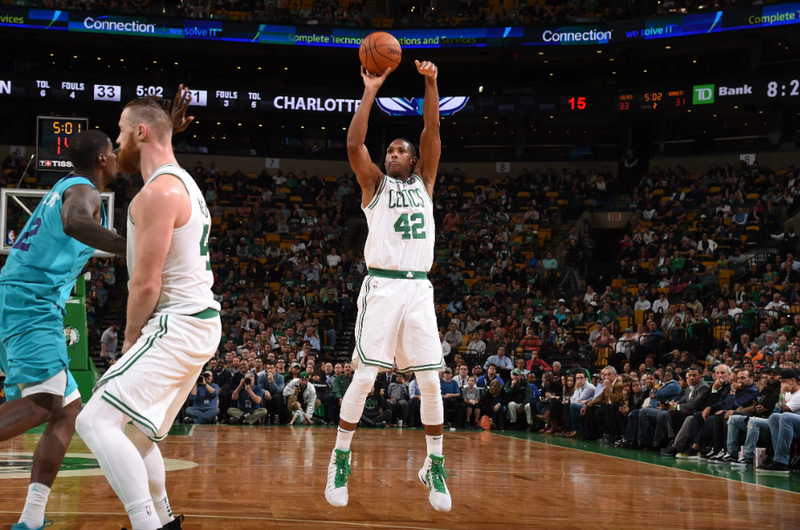 No news about Marcus Smart is probably good news, as while he did not travel with the team to Chapel Hill for the first of two preseason tilts with the Hornets, there's been no news of him missing more time since. You can see the game live at TD Garden (check the heading above that says "tickets" if you need some), but it won't be broadcast nationally, the only game of the Boston Celtics preseason schedule not on national television (you can listen on 98.5 FM, however).